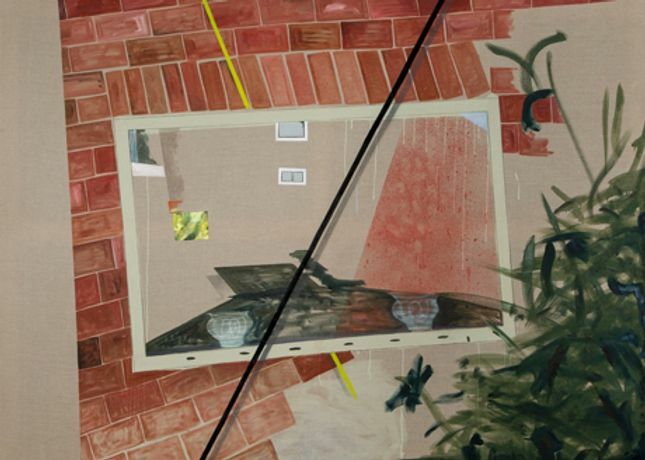 In Caragh Thuring's paintings, traces of images and fragmented gestures build covert narratives. She creates speculative environments, suggestive of human presence, which are economically rendered through motifs appropriated from figures and the built landscape. For her exhibition at Chisenhale Gallery, Thuring will present an entirely new body of work, continuing her interest in the speed of consumption by asking how much information is required to convey an image and slowing down the process of recognition. Caragh Thuring (born 1972, Brussels), lives and works in London. Recent solo exhibitions include Anthony Meier, San Francisco (2013); Simon Preston Gallery, New York (2011); and Thomas Dane Gallery, London (2010). Group exhibitions include Performer As Curator, The Lowry, Manchester (2013); The First Rebellion is History, Next Week Rome Falls, Simon Preston Gallery, New York; Troubling Space, Zabludowicz Collection, London (both 2012) and Newspeak: British Art Now, Saatchi Gallery, London (2010). Her work is included in the forthcoming group exhibitions July at The Approach, London and Live and Let Die at Modern Art, London both in 2014. With thanks to Thomas Dane Gallery. Chisenhale Exhibitions Partner 2014: Fiorucci Art Trust.